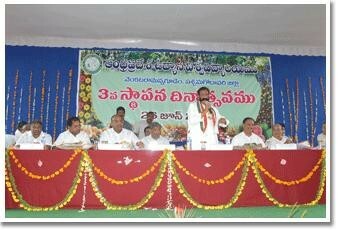 3rd Foundation Day of Andhra Pradesh Horticultural University Celebration on 26-06-2009 at Venkataramannagudem. 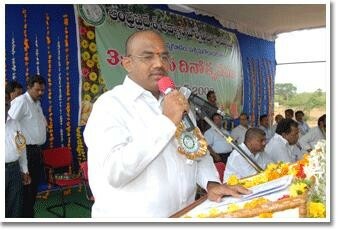 The third Foundation Day of Andhra Pradesh Horticultural University was celebrated on 26-06-2009 at Venkataramannagudem. 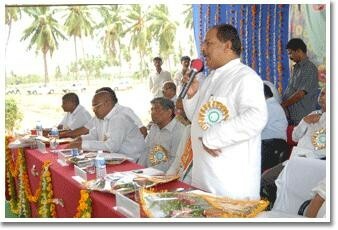 Sri Kanumuri Bapi Raju, Hon'ble Member of Parliament, Narsapuram, Sri Eli Venkata Madhu Sudhana Rao (Nani), Hon'ble MLA, Tadepalligudem, Sri Kottu Satyanarayana, Ex-MLA and Ex-Member, Board of Management of APHU, Sri Merla Veeraiah Chowdari, Member, Board of Management of APHU, Sri O.P.Goenka, MD, Foods, Fats and Fertilizers Ltd., Tadepalligudem and other dignitaries have participated in the function presided over by Dr.S.D.Shikhamany, Vice-Chancellor, APHU. 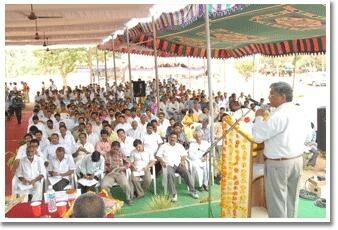 This was followed by a programme for farmers where Dr.Ch.Gopala Rao, Retd. Professor of Agril. 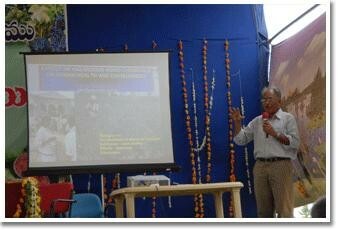 Engineering and Dr.N.Venugopala Rao, Retd. Professor of Agril. Entomology spoke. The function was gracefully concluded with the cultural programmes performed by the students of College of Horticulture, Venkataramannagudem.